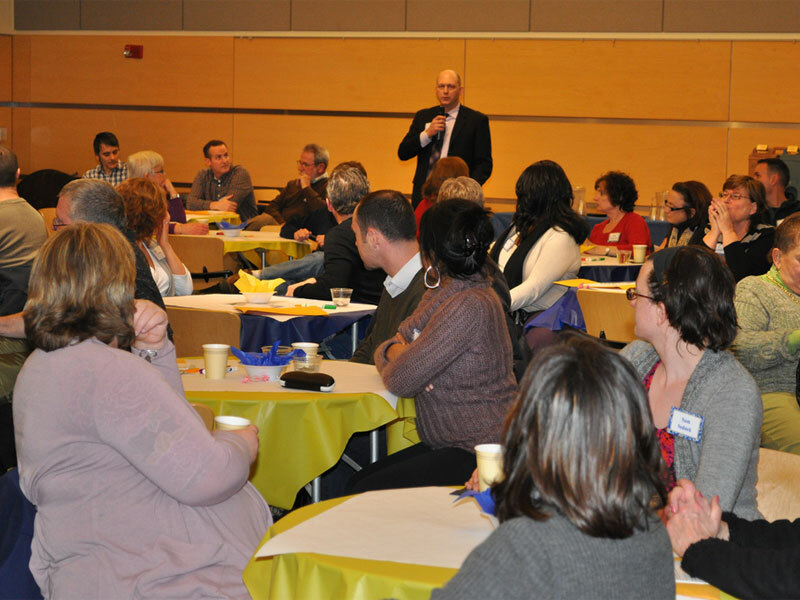 Every year Team Haverhill hosts Possible Dreams, an upbeat community conversation that celebrates Haverhill’s progress, elicits community aspirations, and fosters new connections. 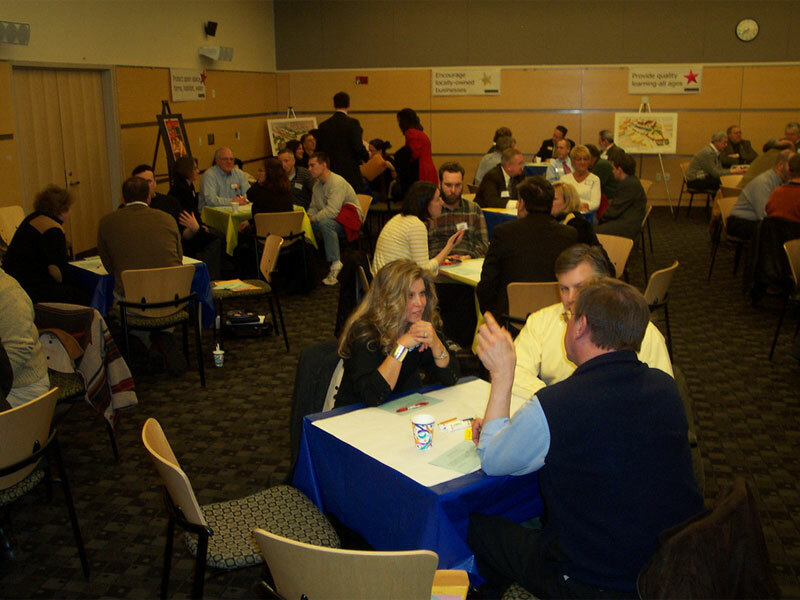 Team Haverhill’s annual community visioning event returned to reflect and discuss the continuing revitalization of our city. This community conversation provides an opportunity to meet new people, discover more that Haverhill has to offer and shape the future of our community by sharing and incubating new ideas. 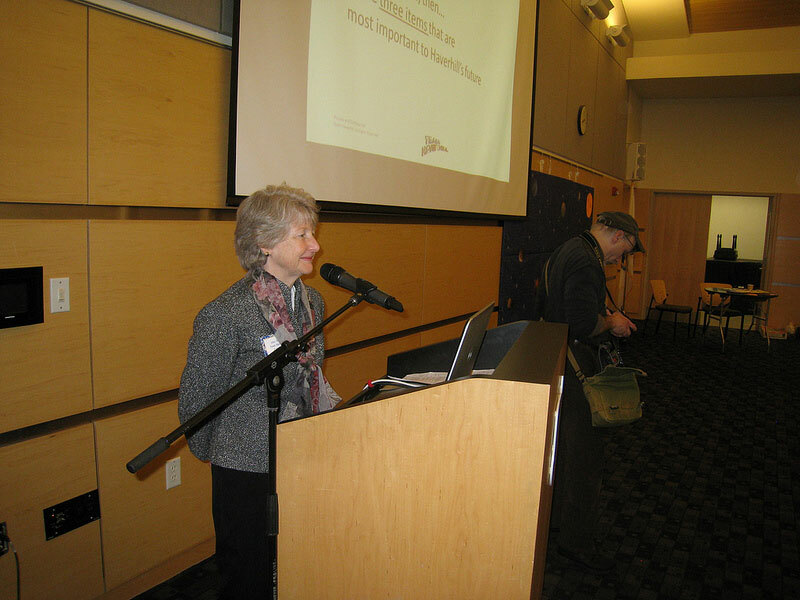 Possible Dreams 2019 took place on Monday, March 11, 7:00 PM at Northern Essex Community College’s Hartleb Technology Center, with approximately 130 participants attending. 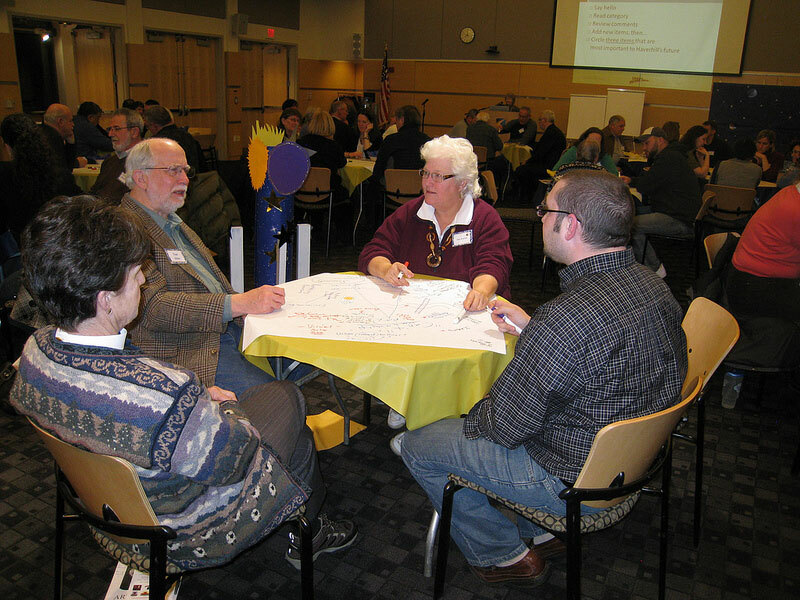 Participants gathered for two rounds of small group discussions about the progress of our city, then individuals stepped forward to lead a third round of conversations about specific ideas that they were passionate about. We have provided a summary of the action/idea groups in hopes of keeping the momentum going. If you are interested in contributing your energy or ideas to any of these groups, please contact the listed group leader directly – their contact info is provided. We encourage all community members to get involved and to connect with one of these groups, if interested. We have also included a digest of the “raw” comments collected from Rounds One & Two for community review, consideration and inspiration. Thank you to everyone that attended and contributed to making Possible Dreams 2019 a great success. 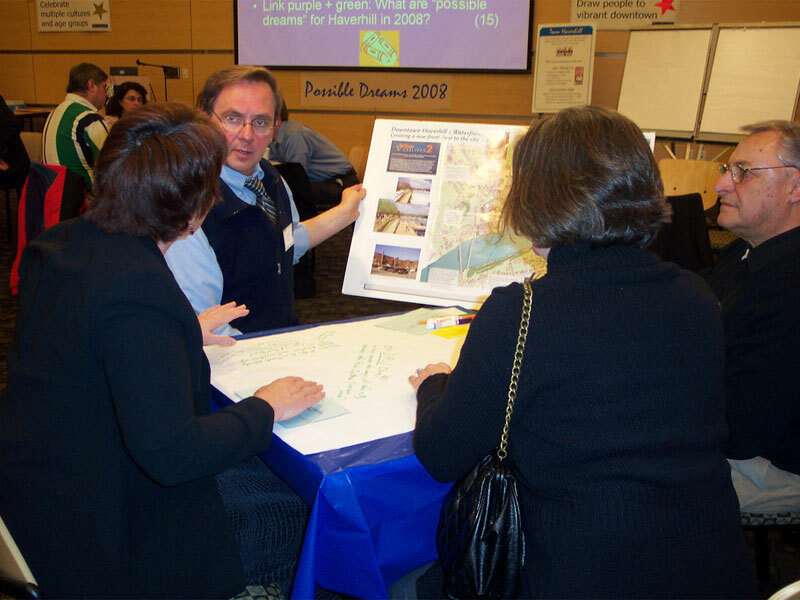 Possible Dreams is an engaging, resident-driven visioning event, very unique to Haverhill. 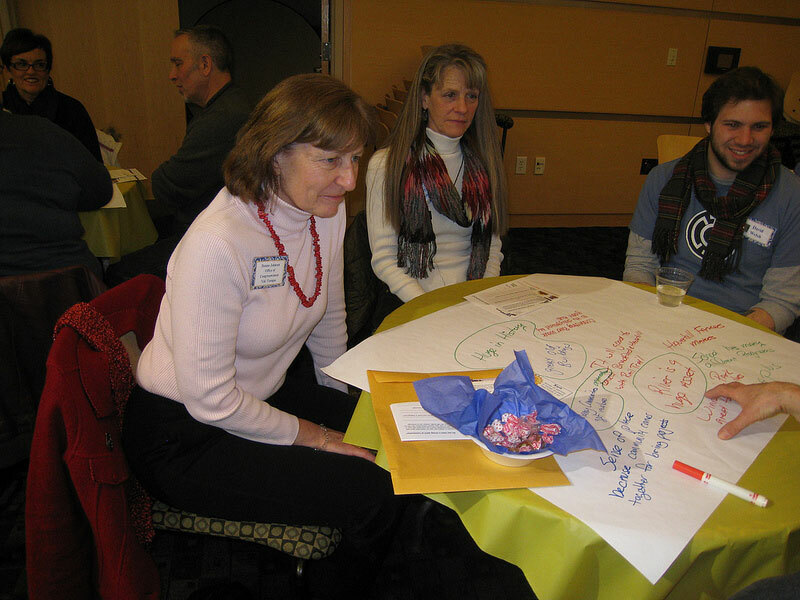 Think lively brainstorming session – but with the whole city invited to participate. This positive and powerful community-wide conversation is led by Team Haverhill’s Alice Mann. The evening consists of small group discussions focused on life in Haverhill and what is needed for our city to thrive in the future. Ideas from the small group discussions are then highlighted and shared with the room full of city residents in hopes of harnessing energy to realize impactful ‘dreams’. It’s simple. All you need to do is come. You don’t need to bring anything other than a positive attitude – and maybe a friend or two! If you have specific ideas or “dreams” for the city, bring those too, but you can get a lot out of the event just by attending and joining in the conversation as it unfolds. There is no pressure, no required public speaking and no push for you to participate beyond your comfort zone. This community discussion is free and all are encouraged to attend. Walk-ins are welcome but registration is encouraged so that we can plan accordingly. Doors open at 6:30 pm for refreshments and seating; event starts promptly at 7 pm. For more information email info@teamhaverhill.org. Don’t miss Possible Dreams 2019… we look forward to seeing you there! Click here to register now! Also, don’t forget to sign-up for our monthly newsletter! 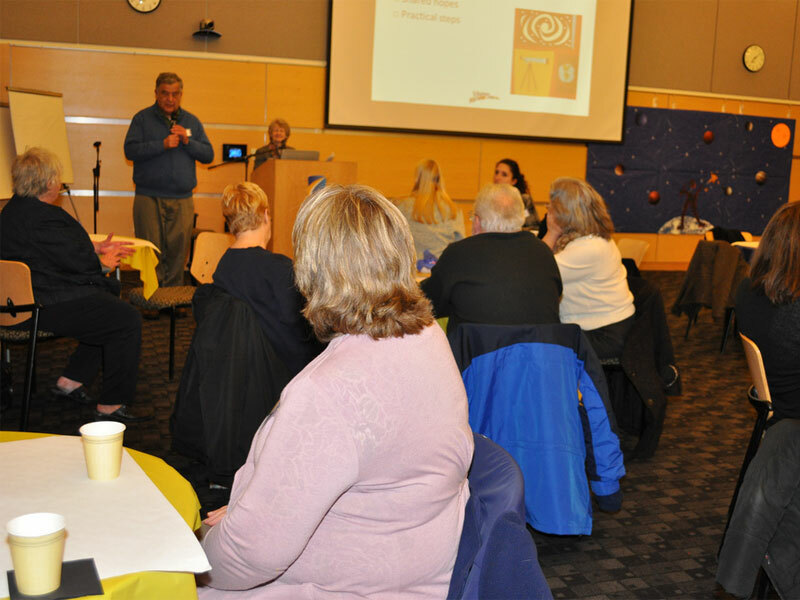 To see what was discussed at Possible Dreams in previous years, please view the Possible Dreams 2018 focus group highlight videos: Positives of Living in Haverhill, Challenges of Living in Haverhill, and Closing Messages and the Possible Dreams 2018 Action Steps. You can also view our Possible Dreams 2017 Meeting Notes, Possible Dreams 2016 Meeting Notes, Possible Dreams 2015 -Topic-Group-Reports, as well as our compilation of results from 2008-2014. 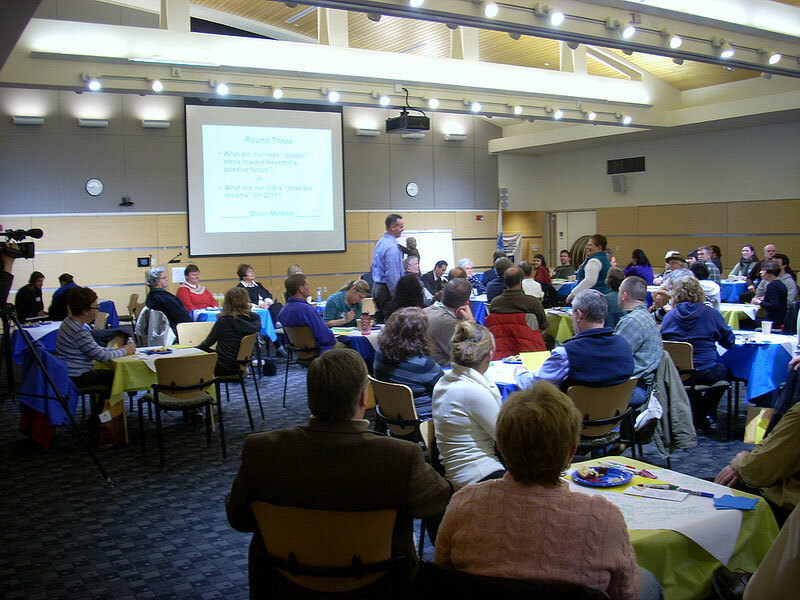 One important outcome from Possible Dreams 2014 was the first Haverhill Volunteer Expo. With initial leadership from the Haverhill YMCA, a consortium of four local nonprofits organized the September event, which featured volunteer opportunities with two dozen exhibiting organizations. Several past Possible Dreams events led to major Team Haverhill initiatives: advocacy for single-stream curbside recycling, revitalization of the Haverhill Farmers Market, and the annual Team Haverhill’s River Ruckus festival. Perhaps most important of all, the aspirations that are shared at Possible Dreams provide encouragement and guidance to all of Haverhill’s leaders, businesses, institutions, and volunteer groups, as we play our various roles in making Haverhill a strong, vibrant, and livable community.